« My fist attempt at blog with iPad! I made my first macaron tower yesterday for a friends 50th birthday party,as I needed to practice on friends before making one for clients! It was a brilliant opportunity to cost the cake as well as time myself assembling it on site. I had tried to work out how many I would need using the mathematical formula for finding the surface area of a cone,but had underestimated by about 35!! 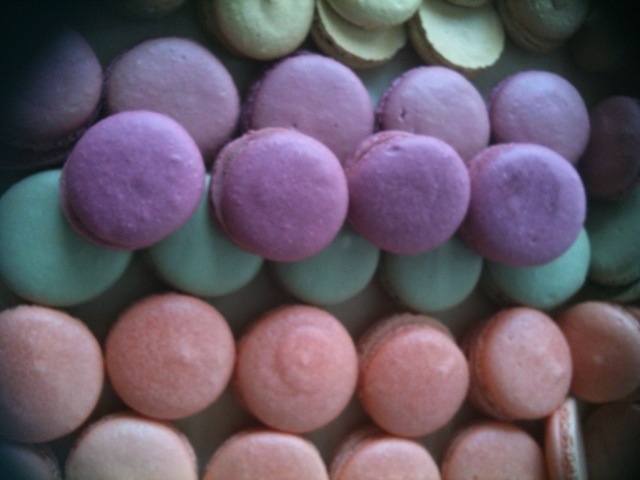 It took 215 macarons and over an hour,hence the premium price charged for these cakes!!! Everyone loved eating my experiment and the most popular flavour ? Blackcurrant!! Off to do some prep for a new corporate client meeting tomorrow and prepare a quote for wedding favours so my planned quiet day not happening. At least the expected hangover has not appeared yet! The most amazing entertainment was provided by penny mac who took charge of the music in more ways than one!! 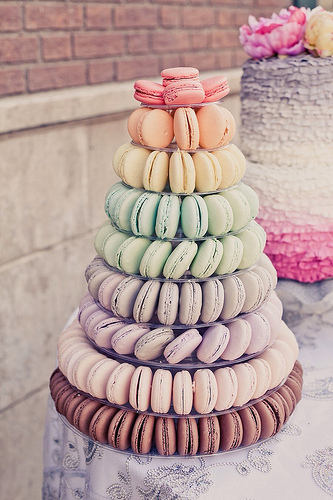 Hi Louise, Just to say how absolutely superb your macaron tower was for the party on Saturday. 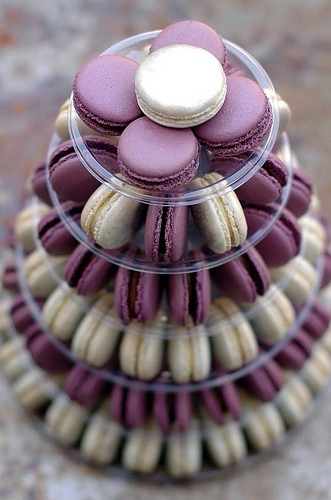 Delicious and fabulous to look at – what a combination! Thanks for the mention by the way – I’m really glad you enjoyed my musical performance. Good luck with the client meeting today.